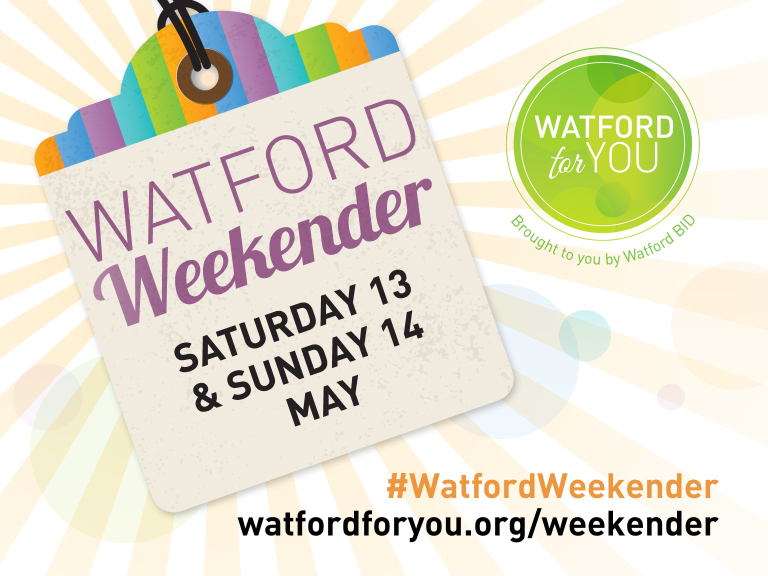 Enjoy special offers, discounts and events at over 60 businesses in Watford town centre, including 50% off parking, during the Watford Weekender, which takes place on 13th & 14th May. The Weekender, which is organised by Watford BID, includes great food deals in many of Watford’s cafés, restaurants and sandwich shops, plus discounts in its bars, clubs and pubs. Many of the town’s big brand retailers, including John Lewis, Sainsbury’s and Marks & Spencer, as well as its smaller independents, have exclusive in-store offers or events. Plus, there are offers on leisure activities, pampering sessions and fun for the kids. Grab a copy of the Watford Weekender brochure or visit the dedicated website to see the full list of what’s happening over the weekend. The brochure has been delivered to Watford households and will be distributed throughout the High Street over the 13th and 14th May. For further information about Watford BID visit the website www.watfordbid.co.uk. Alternatively visit the Watford BID offices at Suite 5 Kings Court, 153 High Street, Watford, WD17 2ER or contact them on 01923 919989 or email enquiries@watfordbid.co.uk. Established in April 2016 Watford Business Improvement District (BID) Ltd is an imaginative and dynamic organisation run for the benefit of businesses in the town by the businesses in the town.